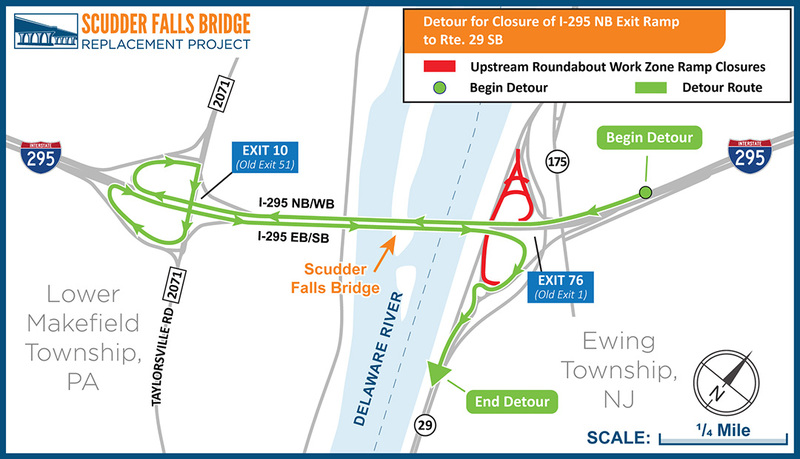 EWING, NJ – A portion of the I-295/NJ Route 29 interchange (Exit 76) on the New Jersey side of the Scudder Falls Bridge will be closed to traffic for 18 consecutive weeks starting approximately 4 a.m. Monday, Feb. 18 – President’s Day. 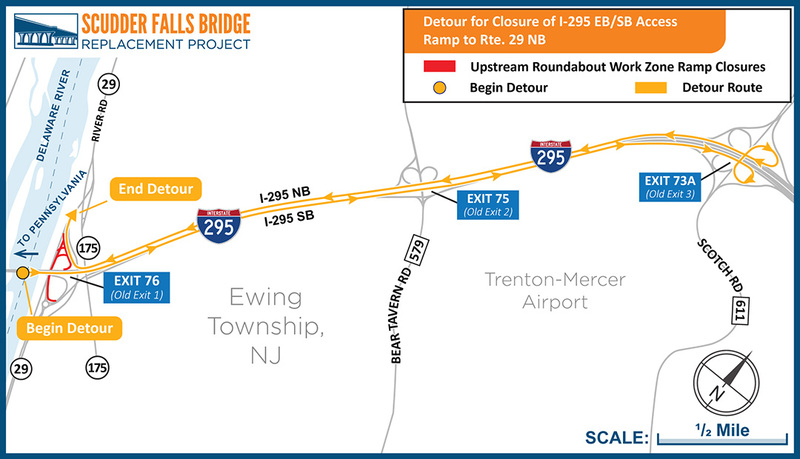 The new travel restrictions will involve a series of ramp closures and accompanying detours that will allow for the construction of a roundabout on the upstream side of the I-295/Route 29 interchange. This will be the second roundabout at the interchange. Last year, a roundabout was constructed and put into service on the interchange’s downstream side. 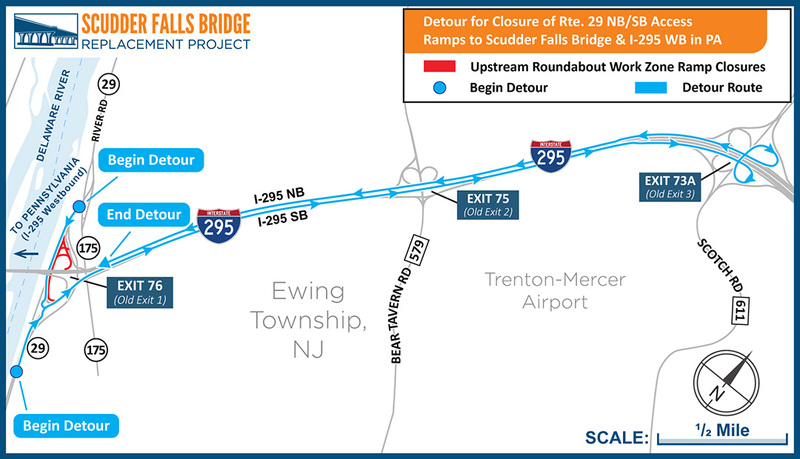 The two roundabouts are one facet of the 4-1/2-year-long Scudder Falls Bridge Replacement Project currently underway within a 4.4-mile-long construction zone at the New Jersey-Pennsylvania border. Important note: Only select travel movements within the interchange are affected; the Scudder Falls Bridge, I-295 and Route 29 will remain open to thru-traffic. Because of the scope of ramp closures and detours at the interchange, the Delaware River Joint Toll Bridge Commission is warning motorists who use the I-295/Route 29 interchange during peak commuting periods to allow extra time to reach their destinations on Monday, Feb. 18, and Tuesday, Feb. 19, as the public adjusts to the new travel restrictions.